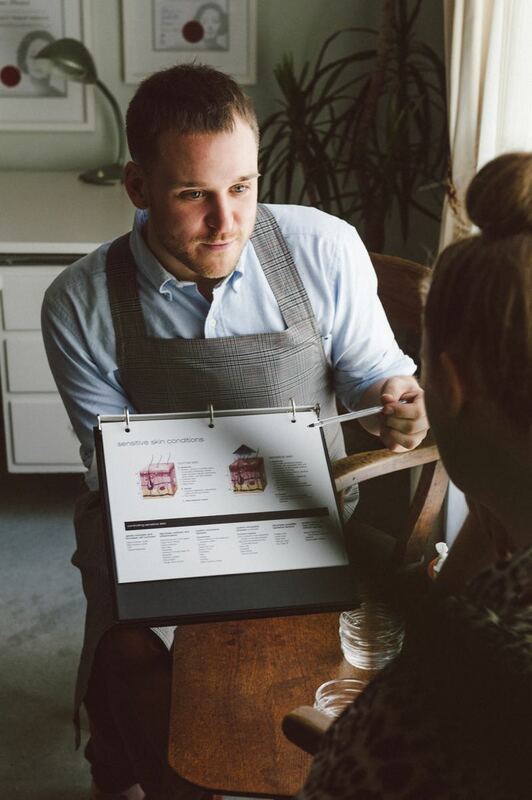 Whether it’s your first time seeking skincare advice, or whether you’re a seasoned ‘skincare addict’, at James Vivian Dermal Therapies, our experienced team are committed to solving your skin concerns. From addressing specific issues—such as ageing, pigmentation, acne or scarring—to enhancing the overall look and feel of your skin, we approach each of your goals with the same degree of dedication and care. We start each client relationship with a complimentary consultation <hyperlink: Initial Consultation page>, which allows us to fully understand your aims and conduct a thorough skin analysis before making recommendations to help you achieve the results you want. At James Vivian Dermal Therapies, we don’t believe that ‘one size fits all’. Every treatment and product we recommend is chosen especially to meet your needs. We will never perform a treatment if it places your wellbeing at risk and will always refer you to one of our contacts in the cosmetic or medical communities if we feel you will benefit from a different type of care. Our methods are tried and tested, clinically proven and of the highest quality. None of our products have been tested on animals and we stay away from nasties like parabens, petrolatum, sulphates, and artificial fragrances and colours. To arrange a complimentary consultation, click here <hyperlink: Initial Consultation page> or take a look at our treatment menu <hyperlink: Treatments page> and products <hyperlink: Products page> for more information. We start each client relationship with a complimentary dermal therapy consultation, which allows us to fully understand your aims and conduct a thorough skin analysis before making recommendations to help you achieve the results you want. At James Vivian Dermal Therapies, we don’t believe that ‘one size fits all’. Every dermal therapy treatment and product we recommend is chosen especially to meet your needs. We will never perform a dermal therapy treatment if it places your wellbeing at risk and will always refer you to one of our contacts in the cosmetic or medical communities if we feel you will benefit from a different type of care. Contact us to arrange a complimentary dermal therapy consultation, or take a look at our treatment menu and products for more information. Healthy, happy skin needs a healthy, happy environment. That’s why James Vivian Dermal Therapies is working together with TerraCycle, Sustainable Salons Australia and Every Little Bit Helps (ELBH) to achieve a smaller ecological footprint, zero waste, environmentally sustainable practices and to support our community. We use TerraCycle Zero Waste bins to collect all plastic gloves and hairnets used at the clinic. When the bins are full, we send them to off to TerraCycle, where they’re sorted before being recycled into plastic pellets and made into brand new products. The rest of our recyclable materials are collected and recycled by Sustainable Salons Australia, which donates all recycling proceeds to not-for-profit, community-based organisations that benefit humanity and our planet. We also donate a ‘Green Fee’ for every visit we receive to our Sustainable Salon and are a collection point for ELBH, an organisation that redistributes sample-sized products and toiletries to people in need. You can help us in our drive towards zero waste and a more caring community by bringing any empty products purchased from James Vivian Dermal Therapies back to us for recycling, or placing any small, unused toiletries in our ELBH donation bin. For more information on our sustainability partners, please visit TerraCycle, Sustainable Salons Australia and ELBH. They call him the face whisperer. Well known and highly respected throughout the cosmetic industry, Dermal Therapist James Vivian lives and breathes beautiful skin. The driving force behind James Vivian Dermal Therapies, James changed the face of Melbourne and Sydney’s beauty scene in 2011 with mobile dermal therapy clinic, The Travelling Peelsman. Applying his skincare expertise, innovative spirit and innate understanding of client care, James has grown the business from a single operator in-home clinic to an expert team of skincare professionals with permanent bases across two states. 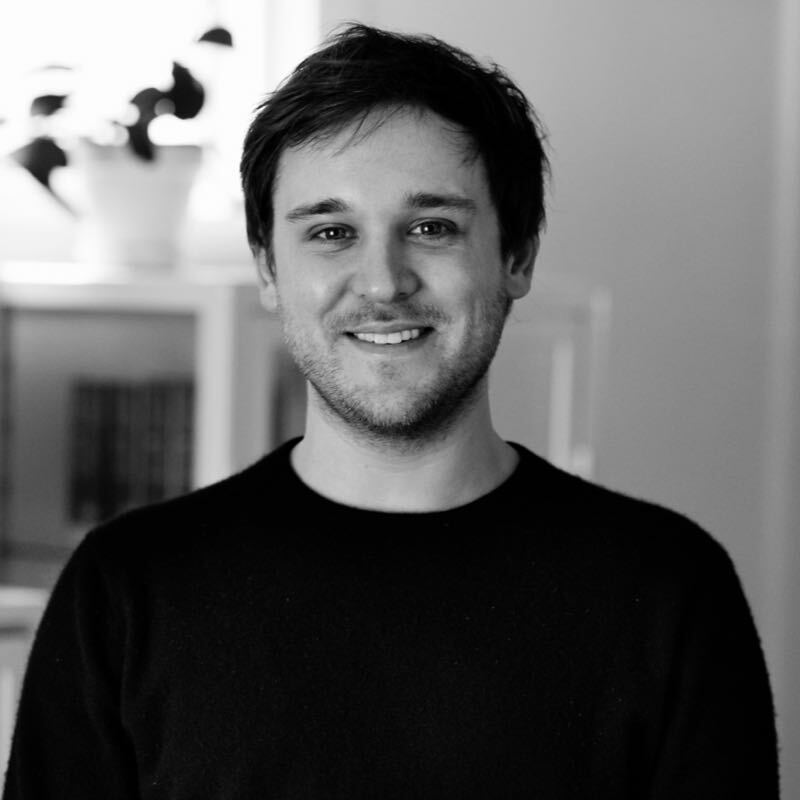 Along with a Bachelor of Health Sciences specialising in Dermal Therapies, James is trained and experienced in an array of treatments and travels regularly to keep pace with international developments in the skincare field. James is always searching for new ways to transcend the bounds of client experience, whether it be through online consultations and international pop-up clinics, or improving sustainability and participating in other causes close to his clients’ hearts. Passionate, enthusiastic and knowledgeable, James’s honesty, ethics, and easygoing manner are what make him the first choice for new dermal therapy clients and seasoned skincare aficionados alike. Cultivating a client relationship based on trust is at the heart of Dermal Therapist Hayley Dean’s approach to skincare. Warm and caring, Hayley’s sense of humour and bubbly laugh quickly put clients at ease. Combined with consistently outstanding results and high professional standards, Hayley’s skincare expertise stands apart. As well as time spent working at the five-star luxury Park Hyatt day spa, Hayley has also practised alongside doctors and nurses at the Victorian Cosmetic Institute, providing a variety of skin treatments while acquiring her Graduate Diploma in Dermal Therapies from the Australian Academy of Dermal Science. In addition, Hayley has experience as a certified trainer and educator within the spa and beauty industry. 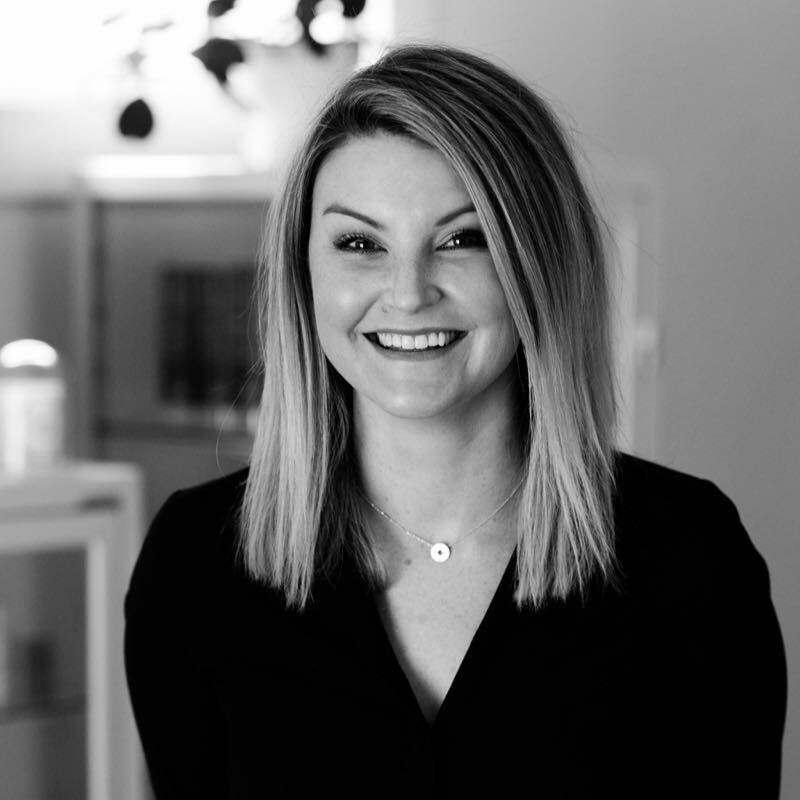 Dedicated to researching new products, ingredients, and treatments, Hayley always ensures her clients receive the most up-to- date and effective care. 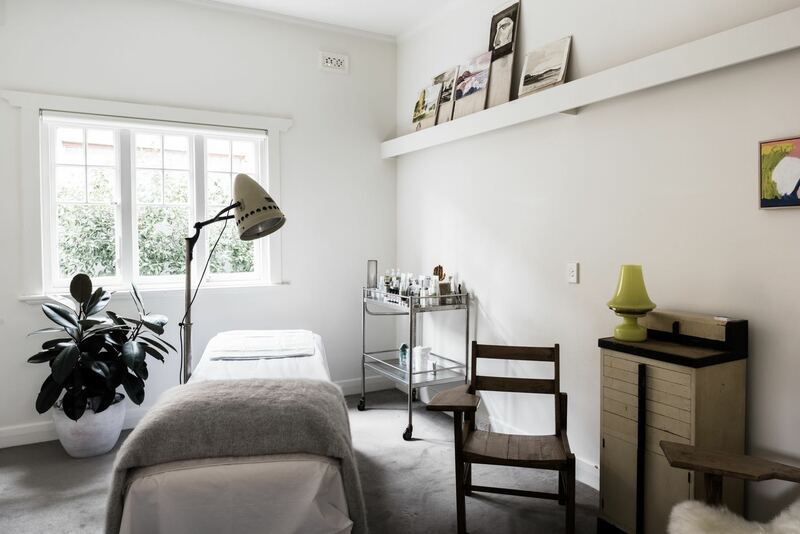 Located on Prahran’s High Street, the clinic is housed in an Edwardian cottage amid a leafy courtyard garden. Inside, carefully selected period pieces combine with clean, modern lines to create a comfortable and elegant light-filled space. The clinic entrance is set back from the road, tucked away behind a high paling fence to allow clients privacy when entering and exiting. For clients seeking a more discreet entry, access can be arranged via the laneway at the back of the property. If you’re travelling by car, High Street offers free parking outside of clearway hours. You’ll also find plenty of parking in the surrounding side streets. We’re easy to reach by public transport as well: take the number 6 tram to stop 37, or the train to nearby Toorak or Armadale stations. After your visit, why not enjoy some High Street shopping across the road at Safari Living, call into Spoonful for an expertly made coffee, or browse the boutiques and galleries for some post-treatment finds? 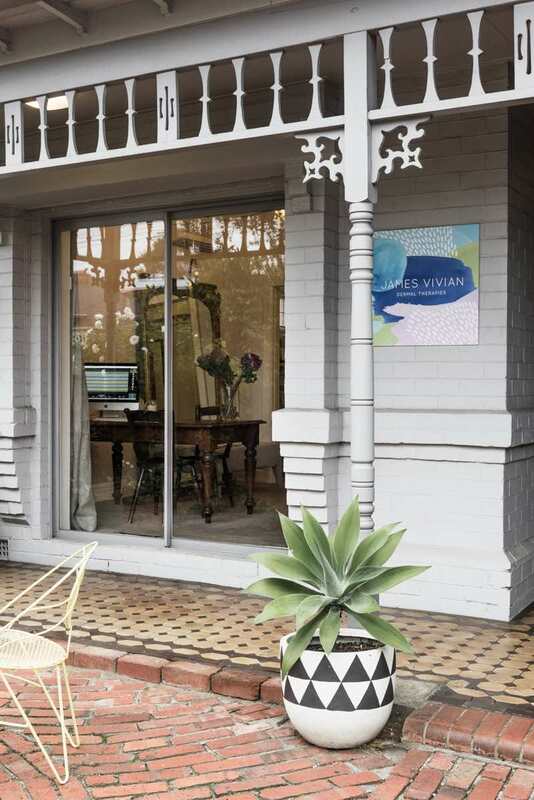 Set in the heart of Double Bay’s Bay Street shopping district, the Sydney clinic combines the elegant features of its double storey Victorian terrace home with local artworks, antique furniture and a warm, welcoming atmosphere that echoes our flagship Melbourne clinic. Clients can be assured of a discreet entry and exit through the private side gate. Plenty of on-street parking is available in the surrounding streets, and on-site parking can be arranged by request. For those travelling by public transport, the clinic is a short downhill walk from Edgecliff Station, or can be reached by bus routes 323-326 along New South Head Road. With a collection of boutiques, restaurants and bars right at our doorstep, a visit to the Double Bay clinic is the perfect excuse to indulge in some retail therapy, a delicious meal, or a drink with friends.